The 2019 Open Day will be held on 23 January 2019. The Open Day for the MSc took place in January 2018, view the Metals & Energy Finance Open Day Presentation 2018 . The course overlaps with other finance-related MSc courses and builds on Imperial College London’s long standing relationship with the minerals and energy industries. The course benefits from close ties with industry, and most students base their final project on a relevant industry case study. In addition there are annual field excursions, which allow students to gain first hand experience of a range of metals and energy projects at various stages of development. Please see scholarship opportunities below. The MSc Metals & Energy Finance programme is accredited by the UK Engineering Council so that graduates with appropriate first degrees and relevant professional experience qualify for the CEng (Chartered Engineer) designation. The UK CEng in turn has reciprocal standing in Europe and as such engineers are entitled to use the EUR ING designation. The course is aimed at geoscience and engineering graduates who wish to develop a broad understanding of the financial and strategic elements of metals and energy projects. It is also suitable for graduates in finance and accounting who wish to develop an understanding of the technical and geological concepts relevant to metals and energy projects. Many of the participants have some industry experience prior to embarking on the course. We welcome recent graduates, but will not make any offers to those who have not yet been awarded their degree. In this case, your application would be accepted and processed; if you meet the criteria you will be placed on a reserve list and a place may become available. Why choose an MSc in Metals and Energy Finance? Demand for basic raw materials continues to rise, particularly in the emerging economies. Mining and energy companies, as well as the financial institutions that support them, continue to evaluate new and existing projects to satisfy this demand. Graduates with a combination of the technical and financial skills required to develop metals and energy projects are well placed to make the most of this opportunity. The MSc in Metals and Energy Finance provides you with the opportunity to participate in a challenging and stimulating MSc course, while simultaneously improving your employment prospects in the financial and mining and energy sectors. Imperial College London has been at the forefront of teaching mining and energy-related courses since its formation in 1907. It is recognised as a centre of world-class research and teaching in science, engineering, medicine and management. Department of Earth Science and Engineering students ranks highly in national surveys and university league tables. Our teaching received the top rating of 24/24 in an assessment by the Higher Education Funding Council of England. In the 2008 research assessment, all of the Department of Earth Science and Engineering’s research was evaluated as excellent and of international significance. Imperial College Business School was established to provide world class teaching and research at the heart of Imperial College, London. In the 2008 research assessment it ranked second in the UK after London Business School. The Metals and Energy Finance MSc course sits alongside other Finance related MSc courses delivered by Imperial College Business School. Produce graduates equipped to pursue careers in the technical and financial appraisal of natural energy and mineral resource projects. Offer traditional minerals related training directly applicable to a career in the minerals industry. Introduce key technical and geological concepts relevant to petroleum projects. Enhance career opportunities in the financial services and petroleum and mineral industries. Provide the basis for an understanding of quantitative finance, accounting and strategic management within the context of technical principles that apply specifically to mineral and energy projects. Respond to the importance of the City of London as a global centre for mining and energy finance by providing knowledge of corporate finance, the equity markets, debt finance, metals markets and associated derivative markets. Provide training in financial modelling, financial engineering and in the techniques of risk modelling. Cover transitioning to business leadership roles, sustainable development and engineering ethics. Provide the skills needed to undertake independent research projects both in industry and in the university environment. Total has offered a scholarship for students on Metals and Energy Finance MSc in the 2018-19 academic year. The scholarship is for students who demonstrate exceptional academic merit and/or potential, and an interest in developing a career in the petroleum sector (financial service, producers, consulting and advisory). The scholarship has a value of £21,000. In order to be considered for the scholarship, candidates must hold an unconditional offer, and submit a profile for consideration by Total. With any queries, please contact Joanna Owens, MSc Administrator. The Bank of Montreal (BMO) has made a gift to Imperial to establish the BMO Scholarship for Women in Metals and Energy Finance. The scholarship, which was first awarded for the 2015-2016 academic year, is open to female students on the MSc in Metals and Energy Finance who demonstrate exceptional academic merit and/or potential. The scholarship will have a value of £30,000, covering tuition at UK/EU rates and a £15,500 bursary. In order to be considered for the scholarship, candidates must be in possession of an offer for enrolment by 30 June. Interviews and selection will take place in the first half of July. Further details of the BMO 2015-16 scholarship awardee, Dasha Shalashova, can be found by clicking here. 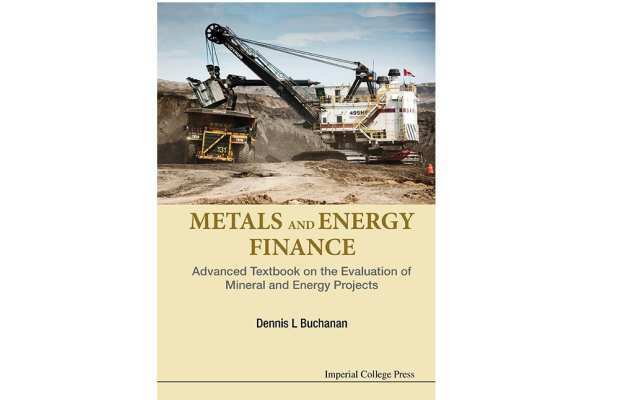 Following a successful launch in November 2016, Professor Buchanan, the course Director, is redelivering this one-week short course based on the book “Metals and Energy Finance” first published in 2016 by Imperial College Press, with a 2nd edition launching in January 2019. The Metals and Energy Finance Short Course is delivered through the Imperial College Centre for Continuing Professional Development and is an executive summary of the degree. The short course may well offer an alternative option for applicants seeking admission onto the MSc. Find out more details of the book and details of the short course. The MSc Metals & Energy Finance Open Day took place on 24 January 2018, view the ‌Metals & Energy Finance Open Day Presentation 2018 . The 2019 Metals and Energy Open Day will be held on 23 January 2019. Please contact Joanna Owens for further information or to register your interest in attending. Please note that the programme is a one-year full-time degree and is not offered on a part-time basis. Applicants to the course are expected to have reasonable fitness and agility as both the Wessex and South African excursions involve some physical exertion.